Early today I posted the update below on what happened this morning with our adoption. 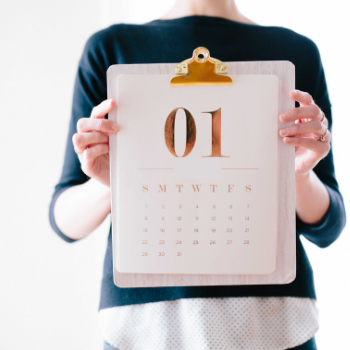 I typically will wait a few days or even a month before I update the blog because I want to make sure I have all the details and everything is settled. This morning happened with a phone call telling us our adoption will be postponed. I was going to wait to update everyone but as I was praying for a miracle, I just felt lead to share the update right away so people would start praying. Below is my original post if you have not read that yet, below that is the latest update! We are in need of serious prayers. I got a call this morning that our adoption may be postponed. Back when the agency that help M’s case was shut down, his file was sent back to the state in January. That case worker that got assigned to him called me in January to let me know that she has no clue about adoptions, has no clue what to do, and that it would be another YEAR before we finalized. I of course was NOT happy but prayed for a miracle. Shortly after, there was an adoption caseworker that called me and said that she was asked to help out. So I have been working only with her. As a adopting family we have the right to full disclosure. We have the right to see M’s full medical history along with all the times he was pulled into state care and why. The state caseworker has had 8 months to gather this and send it. She still to this day has not sent that information to me. She tells me no and refuses to pick up the phone to the adoption worker. She will respond to emails only and is not very pleasant in her responses. The adoption case worker called me today to tell me that her supervisor does not feel comfortable allowing this to go to court with us not receiving his profile. She said it could be postponed until September. I just started crying when she told me this. This entire time I have been nothing but patient and easy to work with. I have stayed optimistic that this will be finished. But today, hearing the word postponed after FINALLY seeing the light as the end of the tunnel was just too much for me. The adoption case worker is trying to get ahold of the state worker to get his file so she can scan and send the files to me this week to ensure the adoption will happen on the 31st. I reached out to the supervisor of the state worker with a voicemail and an email basically begging for her to have the state worker allow the adoptions worker to get his file. So, we need prayers. I have seen God perform miracles this entire time. 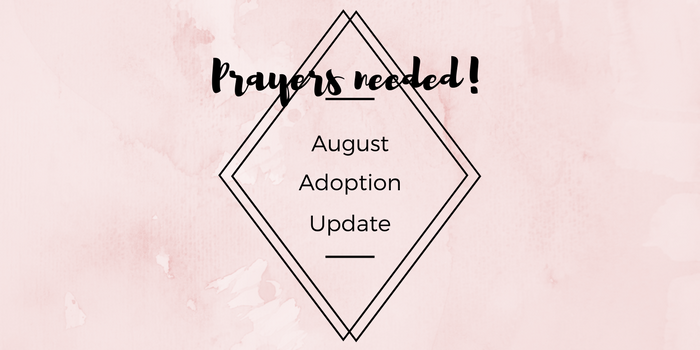 We need prayers that the adoption caseworker will get M’s files from the state worker THIS WEEK. (The state worker should be doing all this work and hasn’t done one thing) The adoption worker is going above and beyond to ensure this happens. If by chance, Ohio has this information and sends it to me- this would count. I reached out to Ohio and they are checking their files. I am still hopeful for the adoption to be finalized on the 31st. Any prayers will be appreciated! After I posted this update my blog, phone, email, text, and FB messenger was flooded with people praying for my family and this adoption. I wanted to update again right now because everyone’s prayers worked! A MIRACLE HAPPENED!! While my phone and social media was flooding with people’s prayers I received a phone call from my adoption case worker. She told me that her supervisor was sitting in her office and her brain was filled with our family’s file. She sat there thinking about how long this has taken and how much we had to fight for M. She looked over our file again quickly and immediately decided that she needed to sign off and allow us to adopt with or without M’s file in our hands! The adoption caseworker promised that we would have the file before or right after the adoption but everything is cleared and set for August 31st! I know this is a miracle because the time frame of when the supervisor was in her office and we popped into her head was when everyone was reaching out to me to let me know they are praying. Some even prayed with me over the phone! I know without a doubt that God moved a mountain today. This morning I was told the supervisor is by the books and would NEVER allow someone to adopt a child without having a copy of their medical history file. The fact that she ok’d it just a few hours after she postponed it is an example of prayer working! I am so glad I shared this morning our situation so that God’s glory could be shown to everyone who reads and follows our adoption. I am so blessed that God moved so quickly on our behalf! Thank you for everyone who sent encouragement and prayers! Thank you Theresa for your prayers! 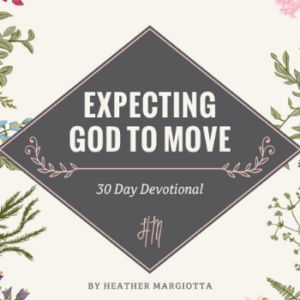 Heather, as I sit here reading your blog, I have to say that the good Lord is GREAT….I have realized that I need to continue my studies in GOD. So that the Lord can use myself in the way he sees fit…. I have enjoyed reading your blog, and very PROUD to call you FAMILY….